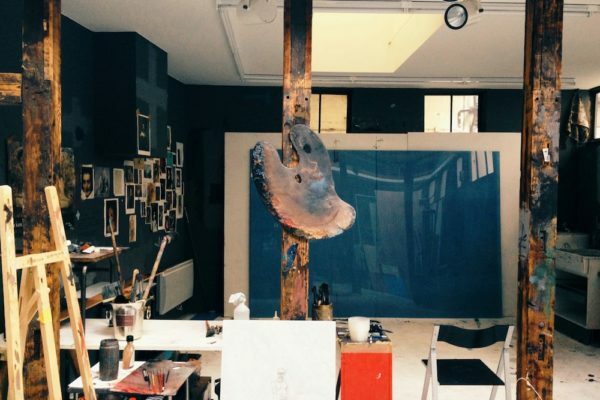 This is the Parisian atelier of painter Jules Thulot, little-known today, but in this photograph we get an intimate look inside his personal space. 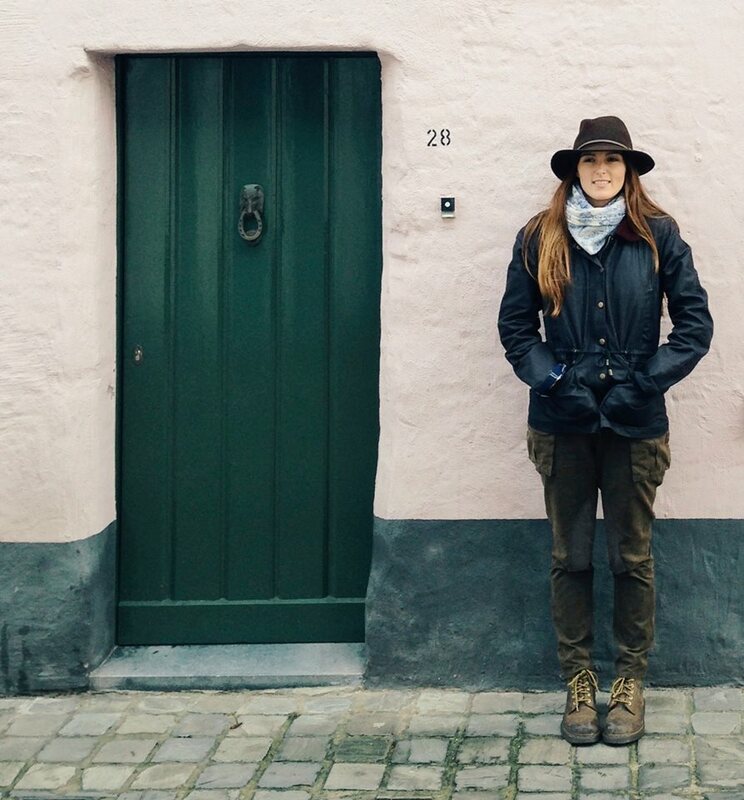 A fabulously bohemian lair, begging to be explored inch by inch. 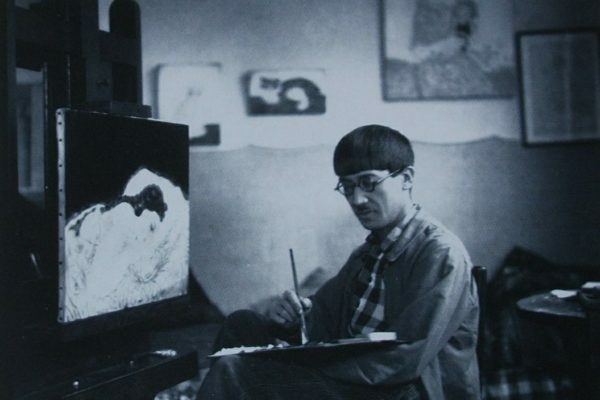 It was the discovery of this photograph that sent me on my hunt for today’s compendium of artists in their ateliers. The more eccentric, the better. 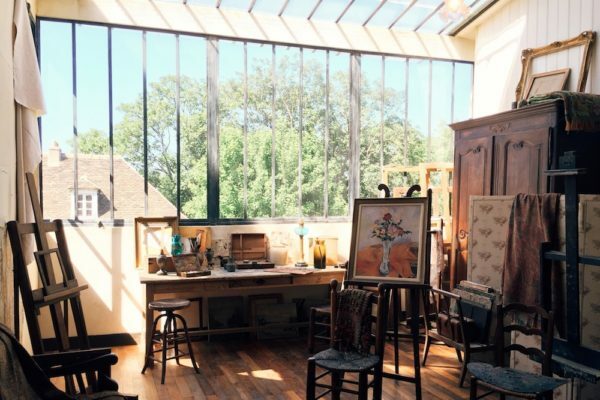 Another closer look at Jules Thulot’s atelier, which has now convinced me that I need a paper parasol for the MessyNessy clubhouse. 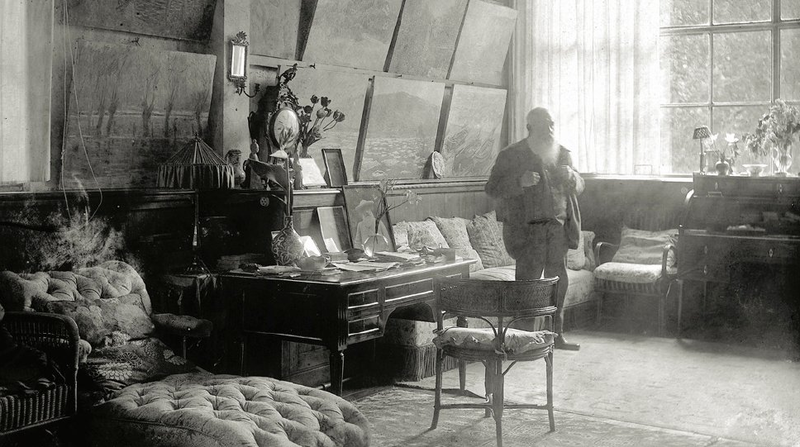 Here is Claude Monet in his studio at Giverny. 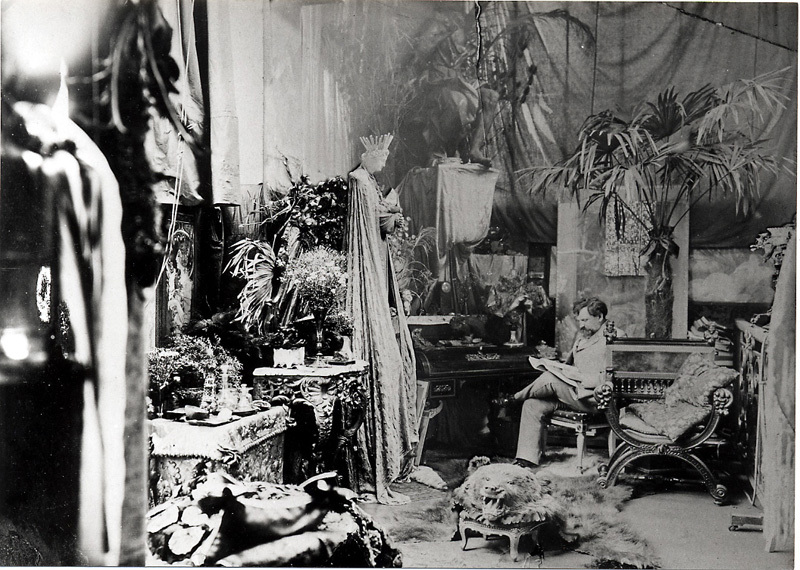 Above and below is Alphonse Mucha in his Parisian studio. 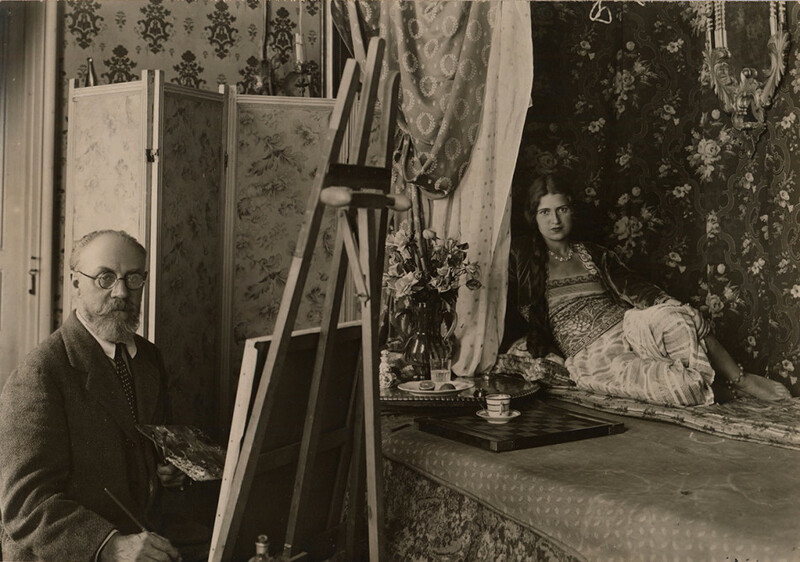 He and his muse, Sarah Bernhardt, were pioneers of a little movement called Art Nouveau. 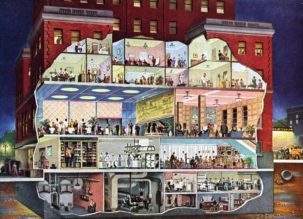 You can discover his story and his art here. 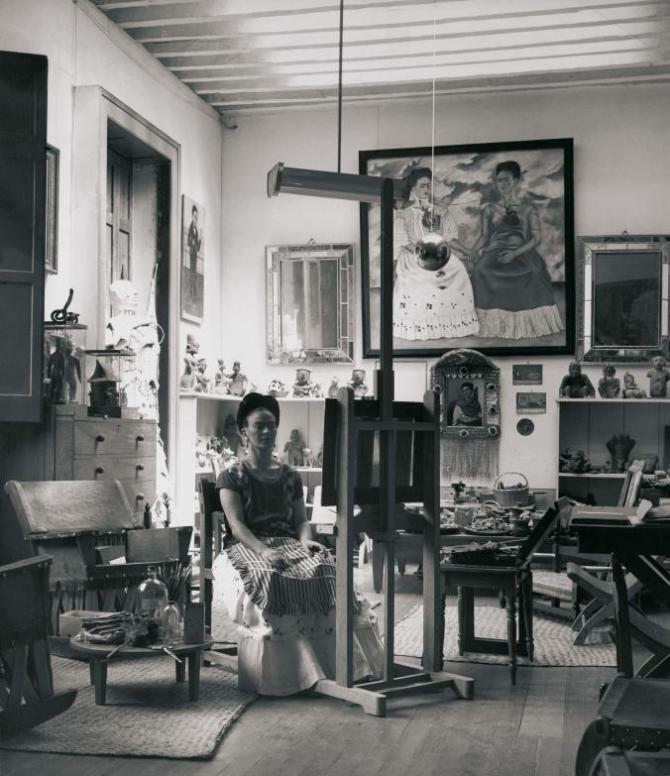 The one and only Frida Kahlo in her atelier in Mexico. 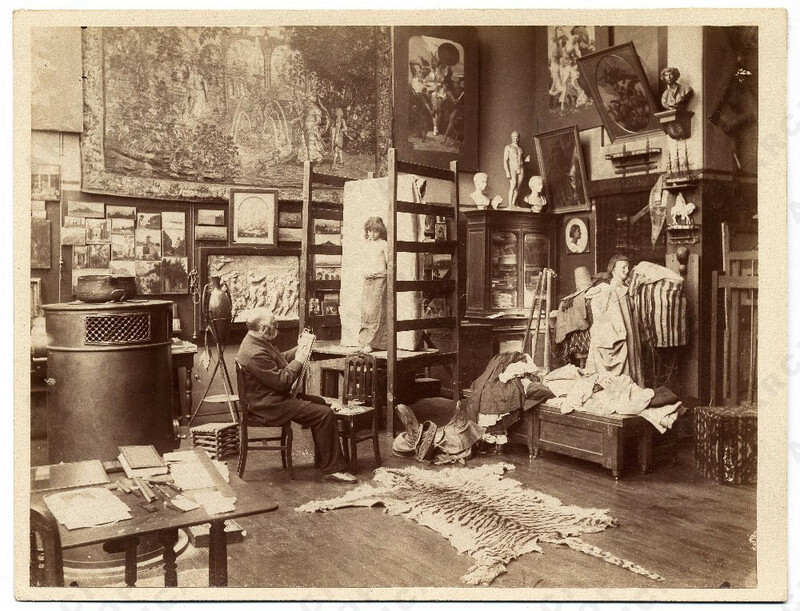 Painter Gustave Boulanger at his Parisian studio. 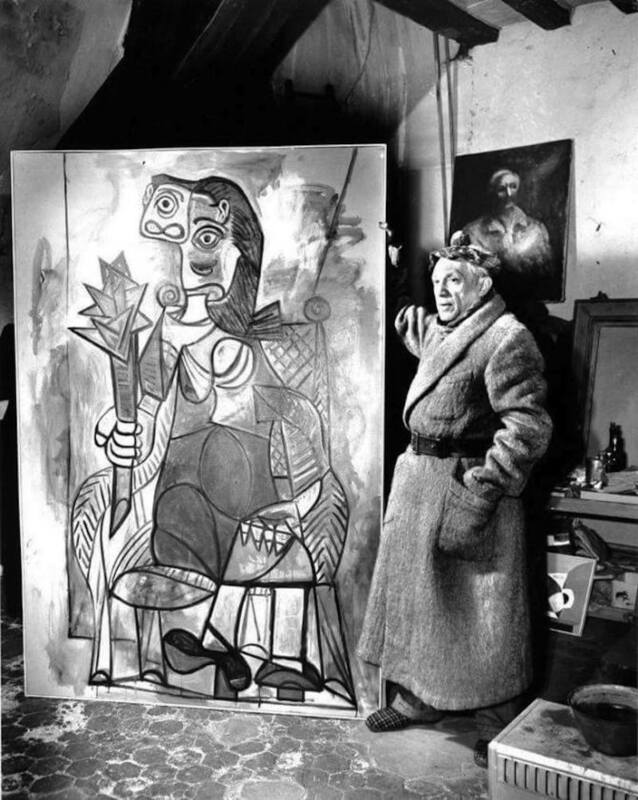 The central heating doesn’t seem to be working at Picasso’s studio. 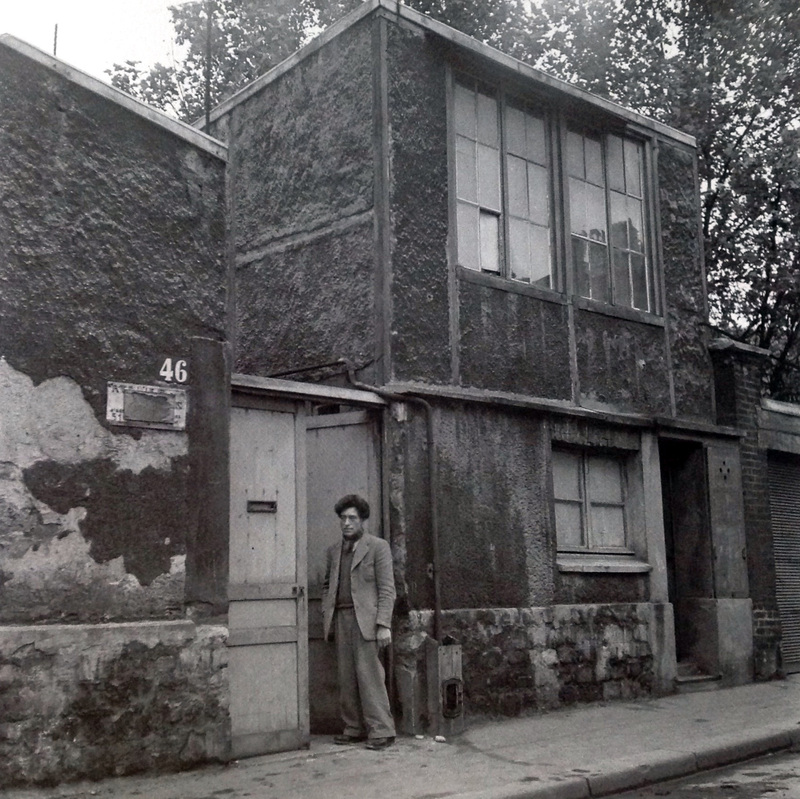 Alberto Giacometti in front of his studio in Paris, photographed by Emmy Andriesse. 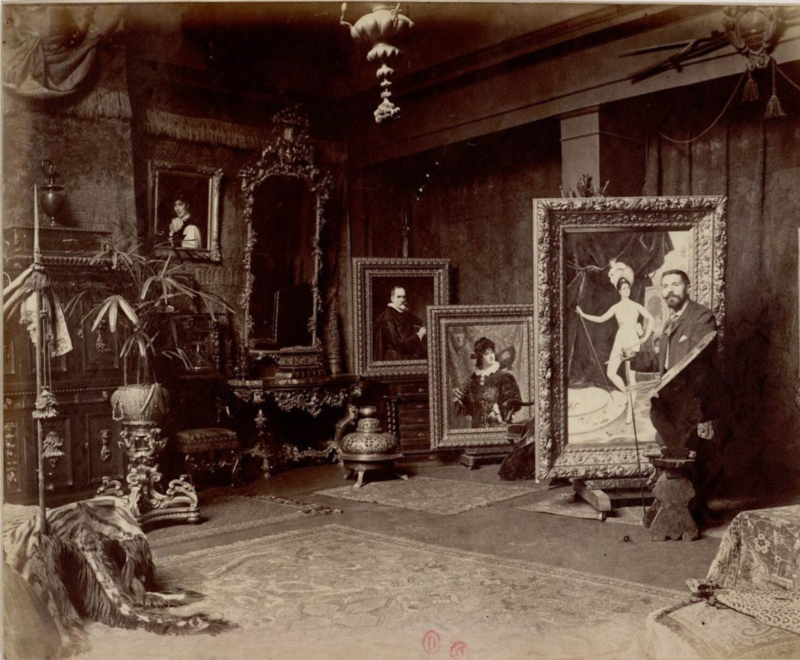 Ignace Spiridon (1845-1900) Italian artist known for his portrait paintings in his atelier. 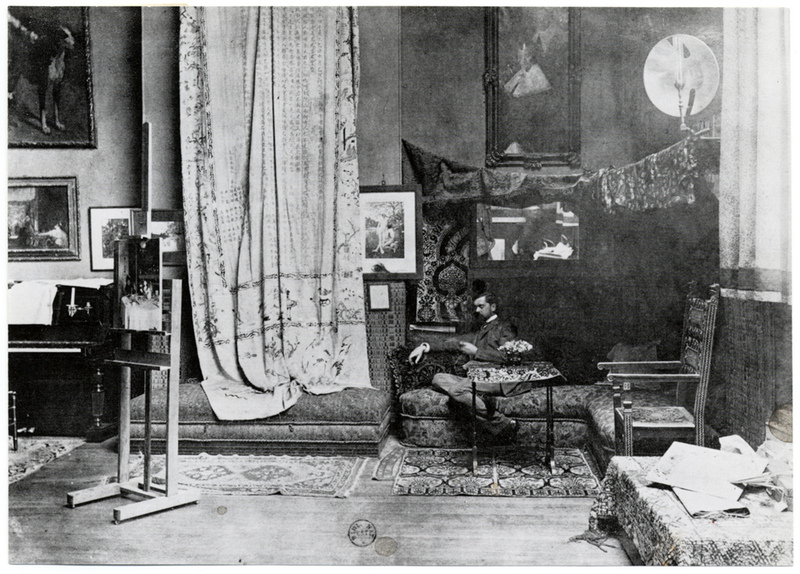 A photo of John Singer Sargent in his studio in Paris, 1885. Sargent was an English portrait and mural painter. 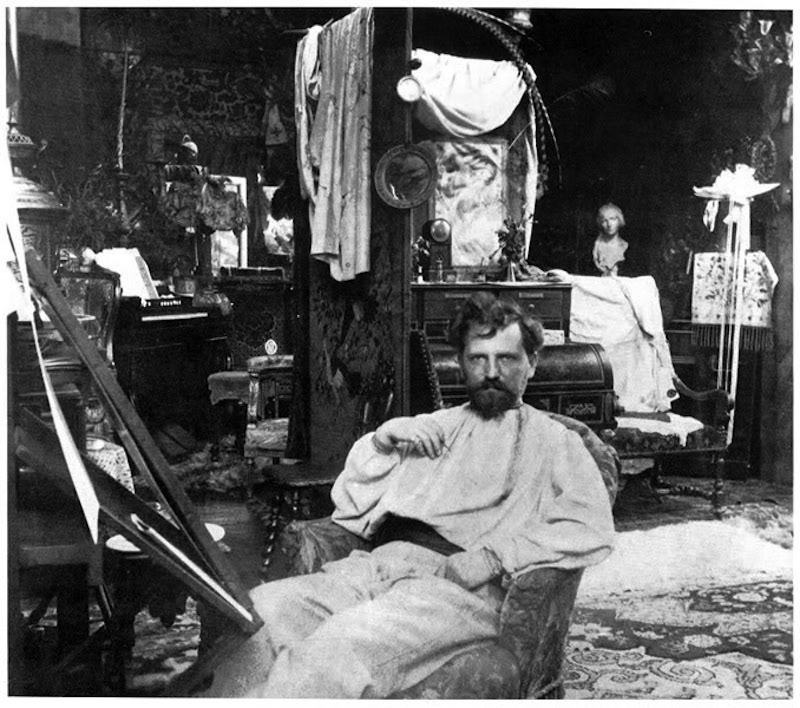 Louis-Robert Carrier-Belleuse (1848-1913), painter, sculpter and ceramicist, in his atelier, 1910. 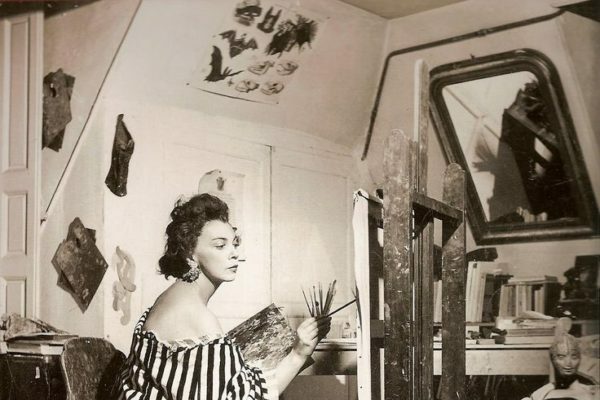 Meet Leonor Fini, the forgotten bohemian Queen of the Paris art world. 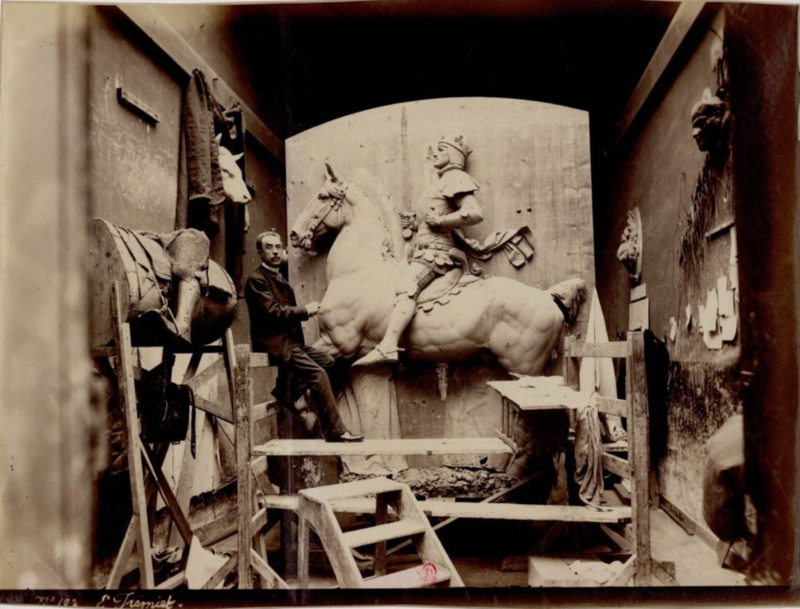 Emmanuel Frémiet (1824-1910), French sculptor known for his animal sculptors along with the first statue of Joan of Arc horseback. 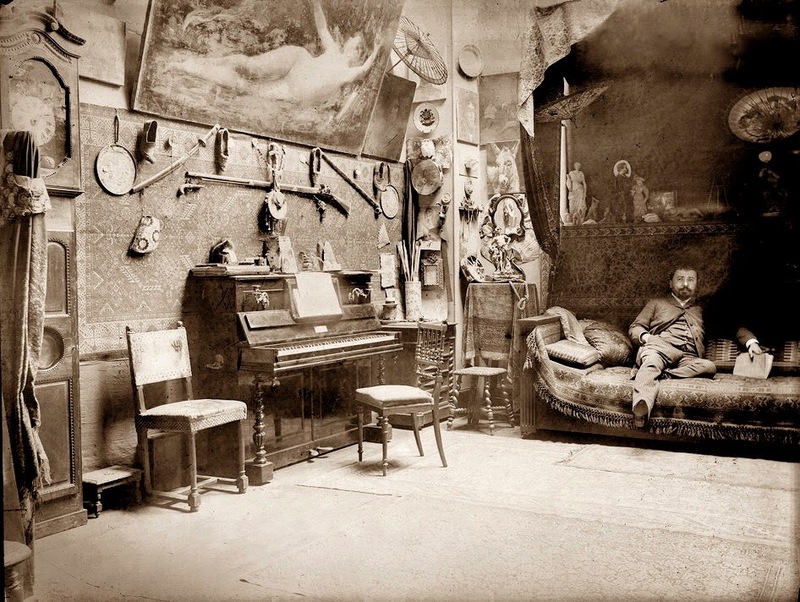 Henri de Toulouse-Lautrec with a model in his atelier 1894. 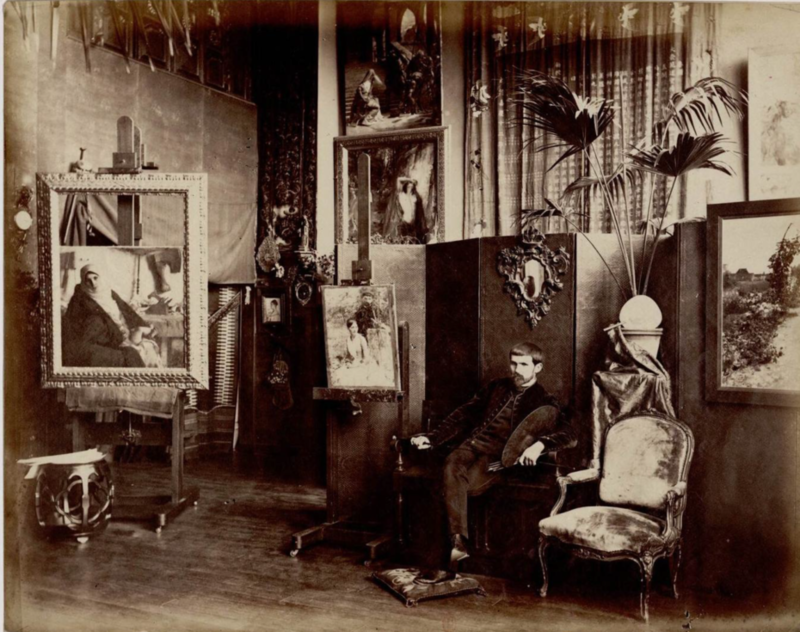 Auguste Rodin (1840-1917) seated beside his work in his studio, photographed by Dornac from the archives Larousse, Paris, France. 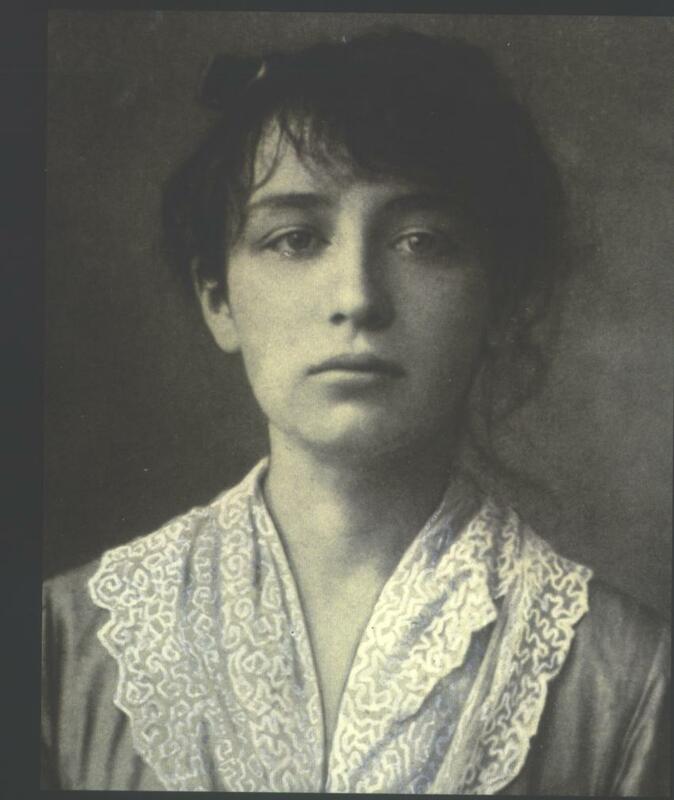 Camille Claudel in her studio, who I’d like to stop and briefly tell her story here, as I might not get another chance to. She was the elder sister of the poet and diplomat Paul Claudel and the lover, co-worker and muse of sculptor Auguste Rodin. 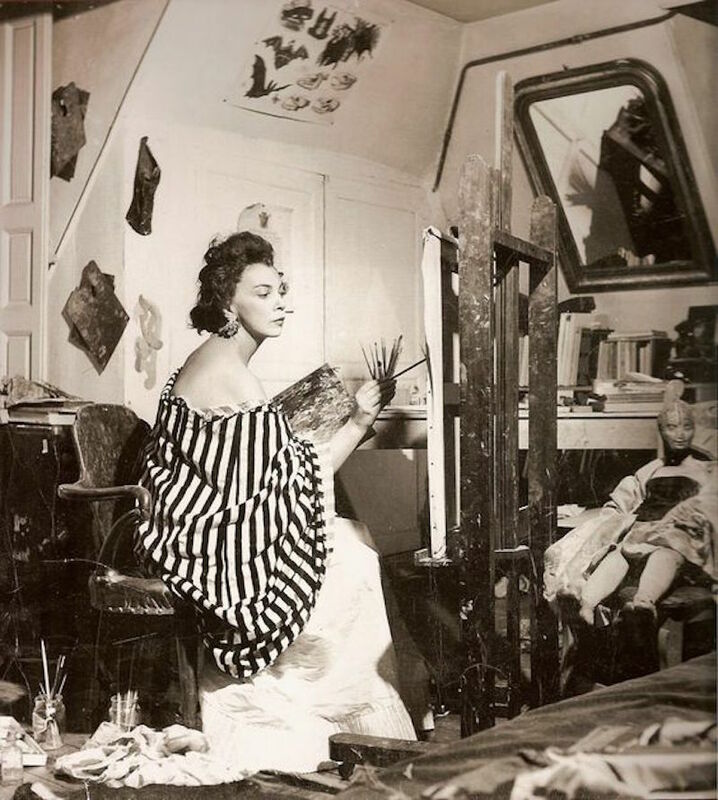 She was a sculptor in her own right and art critics of the era described her as “a revolt against nature: a woman genius.” Claudel ultimately became Rodin’s rival and their affair ended. 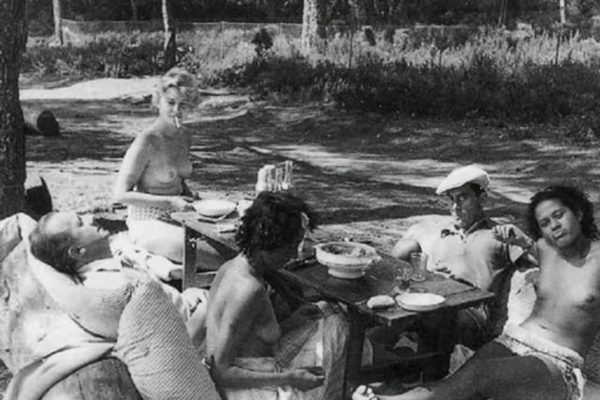 Her sculptures were often very sexual and she struggled to get funding after her break with Rodin– some believe this was his doing. Other believe it was not Rodin, but her own brother who was jealous of her genius, and conspired with her mother, who never forgave her for her supposed immorality. 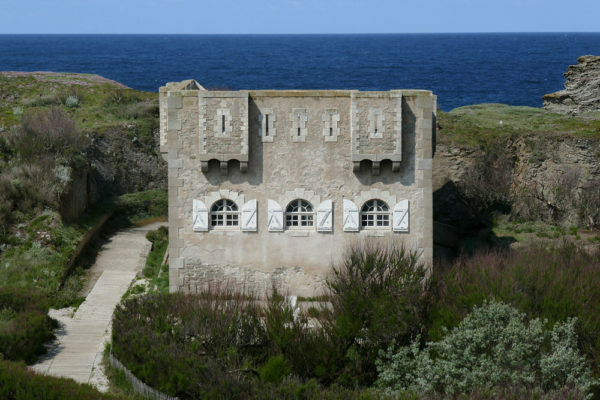 After 1905 Claudel appeared to be mentally ill, wandering around the streets dressed in beggars’ clothes. 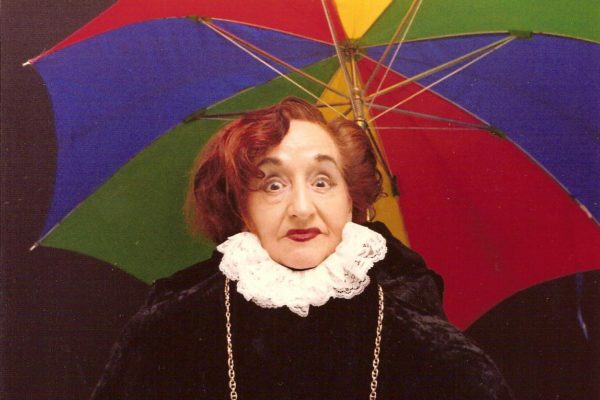 She destroyed many of her statues, disappeared for long periods of time, exhibited signs of paranoia and was diagnosed as having schizophrenia. 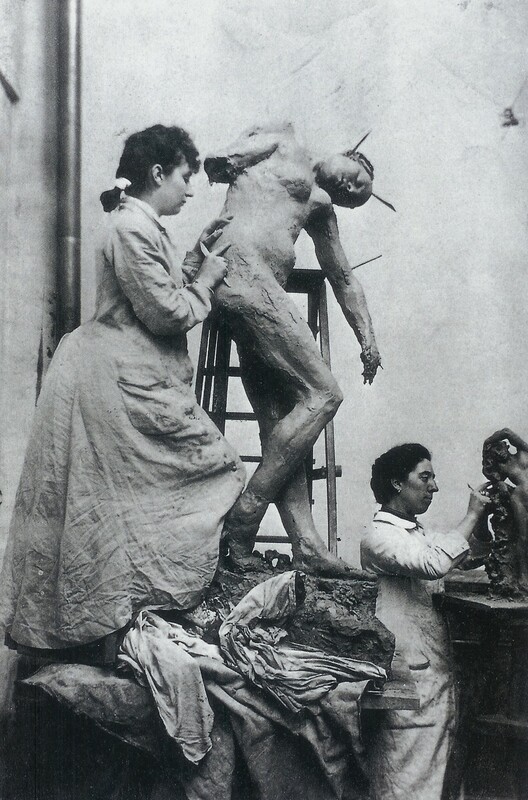 She accused Rodin of stealing her ideas and of leading a conspiracy to kill her. 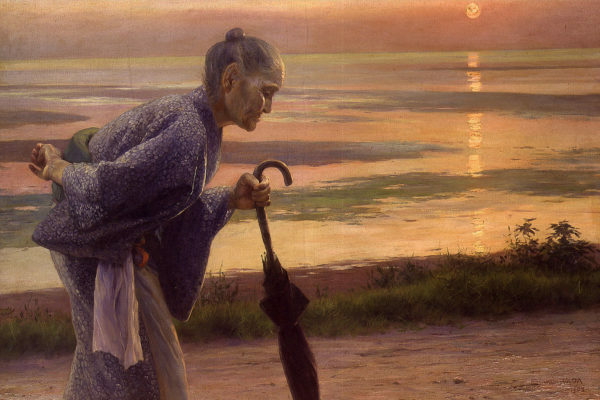 After her father’s death, who had approved of her career choice and tried to support her financially, she was admitted to the psychiatric hospital at the initiative of her brother. Doctors tried to convince the family that she need not be in the institution, but still they kept her there for 30 years. 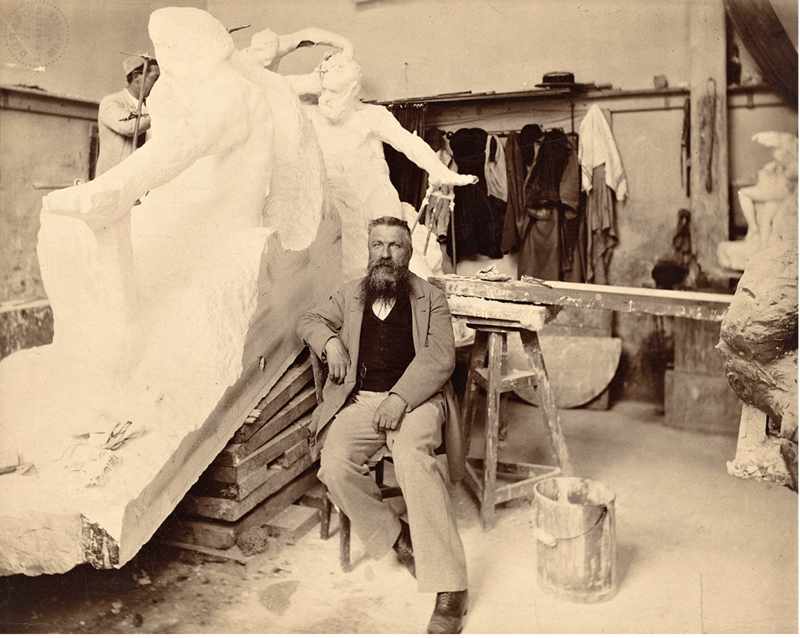 Rodin’s friend, Mathias Morhardt, insisted that her brother was a “simpleton” who had “shut away” his sister of genius. 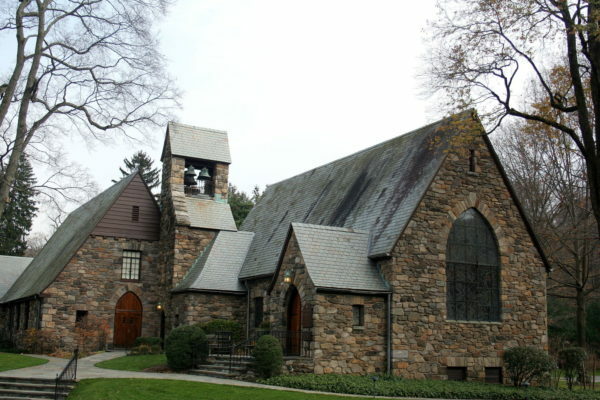 She died in 1943 at the hospital and her remains were buried in its backyard cemetery. 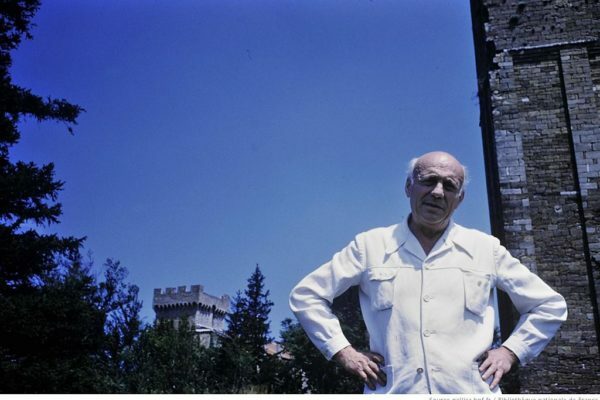 In 1951, her brother Paul Claudel organized an exhibition at the Musée Rodin, which continues to display her sculptures. You can watch the Academy award-winning film Camille Claudel (1988) about her life, starring Isabelle Adjani as Claudel and Gérard Depardieu as Rodin. 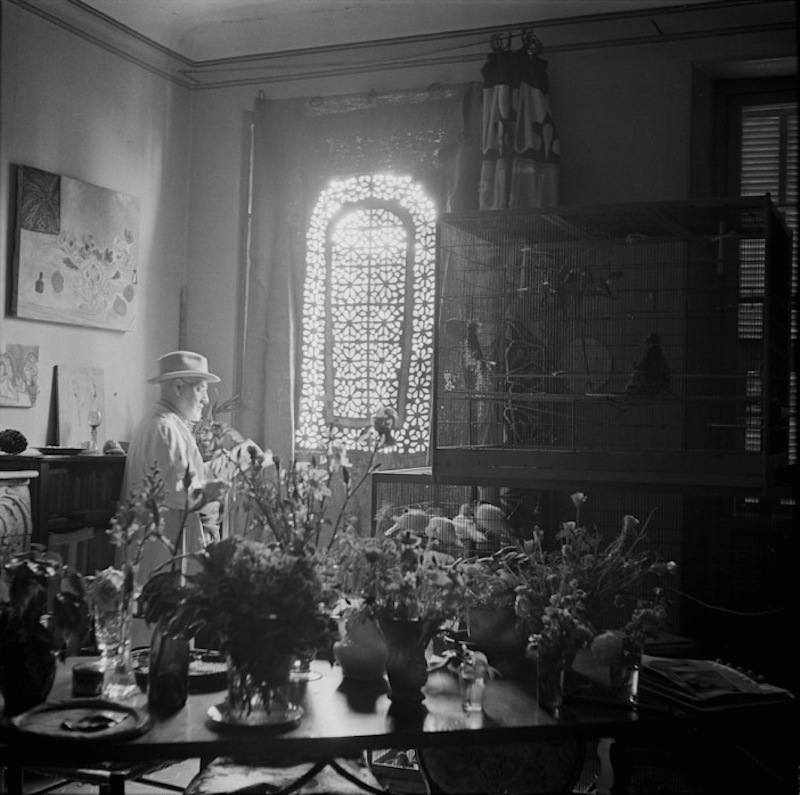 With his doves above and his model below, Henri Matisse. 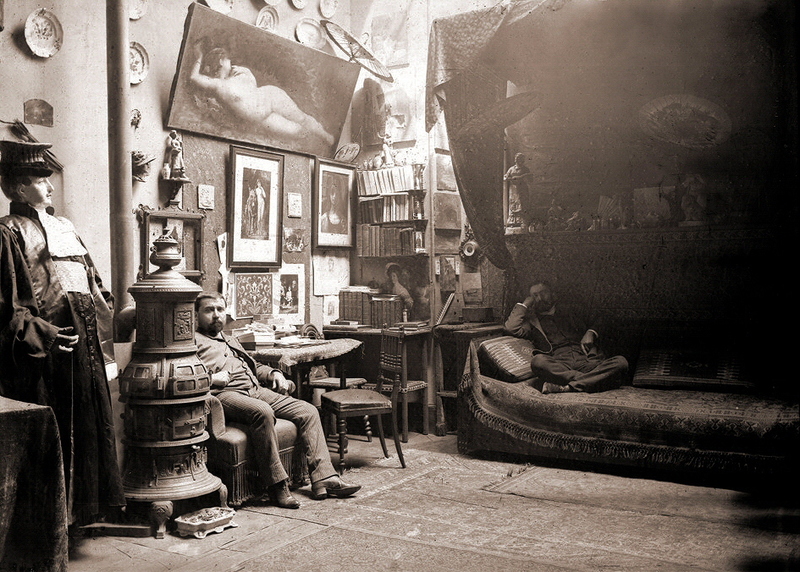 Willy Maywald’s studio in Montparnasse. 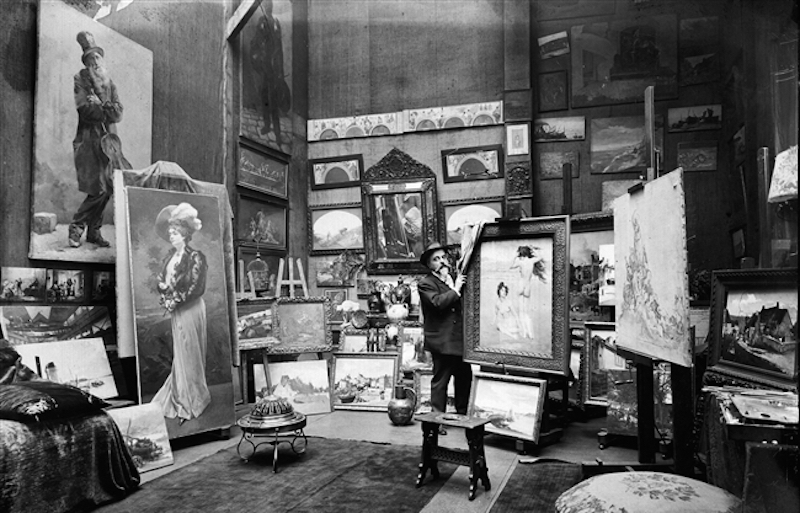 Pascal Dagnan-Bouvre in his atelier amongst his naturalist paintings. 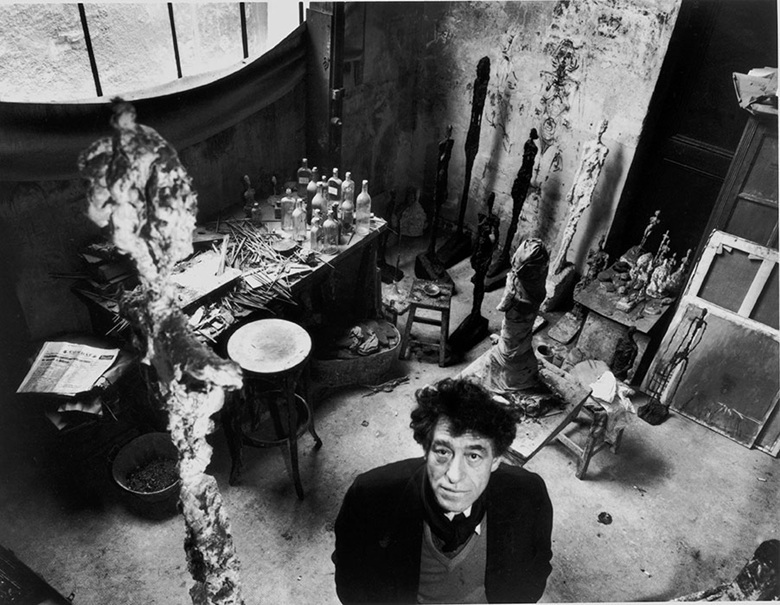 Alberto Giacometti, photographed by Robert Doisneau at his studio in 1957. Do you have any gems to add to the pile?